After Flappy Bird, there was a void. A black hole in our hearts. We feared we would never be happy again. 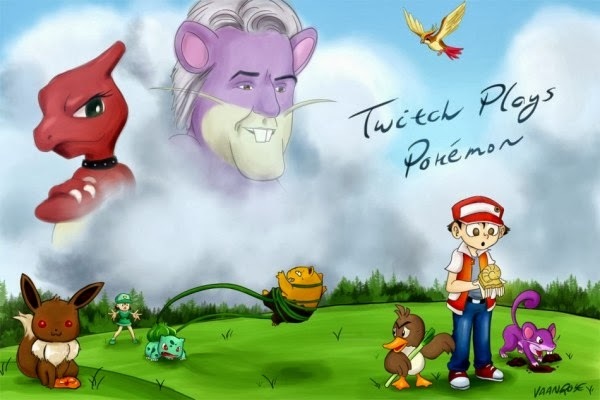 Then, on February 12, Twitch Plays Pokemon shone its glorious light upon us. Half art project/half reality show/half religion, TPP has taken the interwebs by storm. And why would it not? Watching 70.000 people play Pokémon Red, your favorite childhood Nintendo game, at the same time is both the greatest thing ever and immensely frustrating. At one point it took seven hours to get past a 12-step ledge. But the miscues didn't stop there. Thanks to several thousand people frantically hitting buttons, The Chat released Jay Leno and Abby when trying to box an Eevee, gets stuck regularly in supermarkets and Pokemon Centers, exits the Safari Zone after one step, and randomly consults the Helix Fossil for strength and guidance. Almost 14 days of uncoordinated action later, and after gloriously bringing the Helix Fossil back to life, the game is nearing completion. Which is, frankly, a little sad. 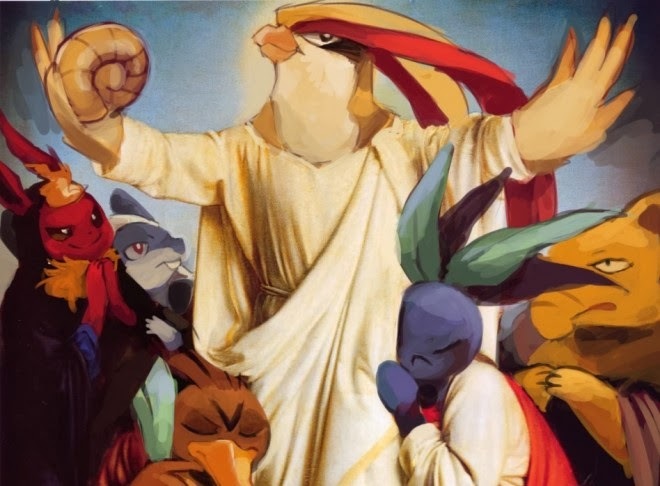 Not in the least because the Twitch Plays Pokemon community has taken the game to a different level entirely, adopting religion-like symbolism to make sense of events. The profound fan art and incredible depth of meaning have been overwhelmingly entertaining and so fun to get lost in. My greatest source of entertainment? The live updates thread on Reddit. The people on there are truly poets, brilliantly and in great detail capturing Red's progress to keep the masses informed. 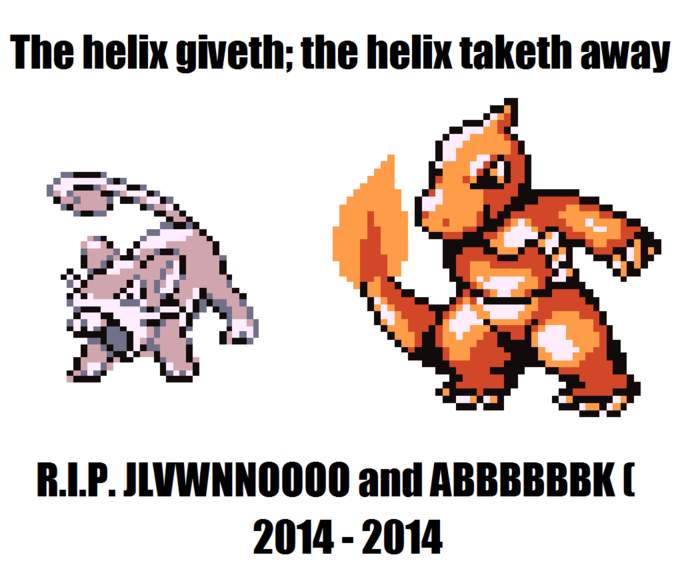 May the Helix be with you, always. Update: They did it. They actually did it. After 16 days, 17 hours, 50 minutes, and 19 seconds, The Chat finished the game.